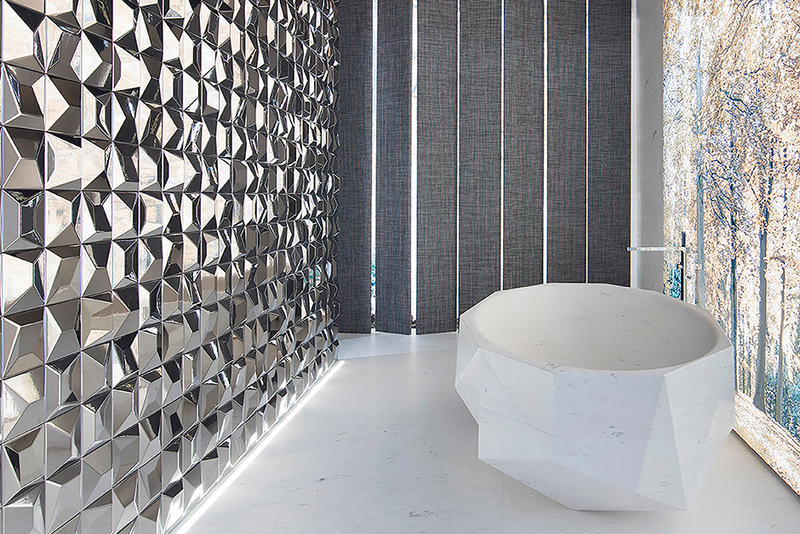 Whether you are considering a bathroom remodel or redecorating a space, Porcelanosa’s contemporary designs are a preferred choice among both residential architects and homeowners alike. Our assorted range of products include various spacious freestanding bathtubs that typically have organic square or oval shapes. Our exclusive bathtubs are available in several sizes and materials such as acrylic, stone and KRION® New Generation Solid Surface, Porcelanosa’s revolutionary solid surface material. Here are several current home décor trends leading the interior design industry and forecasting for next year. Modern in their approach, acrylic freestanding bathtubs are emerging as an ideal choice for an elegant and polished bathroom. The KOAN: FREESTANDING TUB is double ended with a center drain and features an adjustable bottom for added room. Acrylic bathtubs are sustainable, compatible with most shower enclosures and made to fit into any standard space. Our VICTORIAN: Cast Iron Classic Clawfoot Bathtub oozes class and adds an air of panache to a bathroom. Designed for a deep and soothing soak, our acrylic tubs are the perfect way to unwind after a strenuous day. With its inherent sculptural beauty, natural stone helps set a warm and inviting tone for a space. Both fashionable and unique, our FACES: STONE BATHTUB series enhances the pampering experience and creates a calming retreat within the comfort of your own home. Stone bathtubs are highly resistant to scratches and personify an opulent and classic feel. 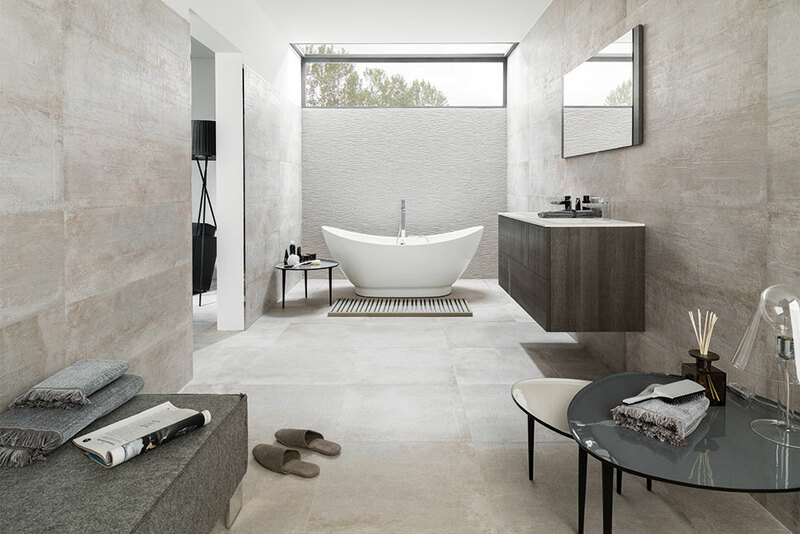 Combining design with comfort, the SAMARA: STONE Bathtub is a stunning choice for revamping a bathroom and elevating a stylish image. While serving as a bathroom’s focal point, one can achieve a statement that is both artistic and refined with natural stone. With its curved and seamless sections, KRION® New Generation Solid Surface inspires an alluring ambience guaranteed to never go out of style. Based on straight and minimalist lines, the MODUL: KRION® Bathtub infuses a bathroom with a sensation of light and clarity. Both practical and economical, KRION® is warm to the touch, non-porous and requires minimal maintenance. 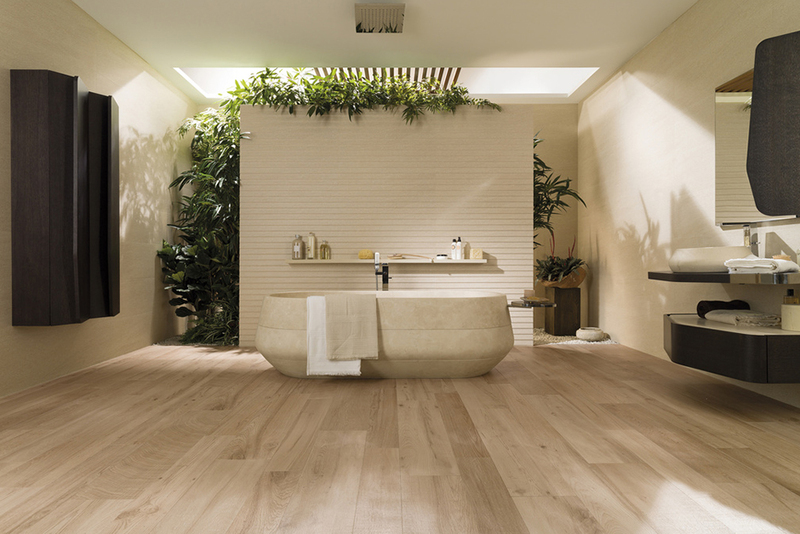 Extend your room’s view by placing a SP CONCEPT: KRION® Bathtub by a window as a luxurious escape. 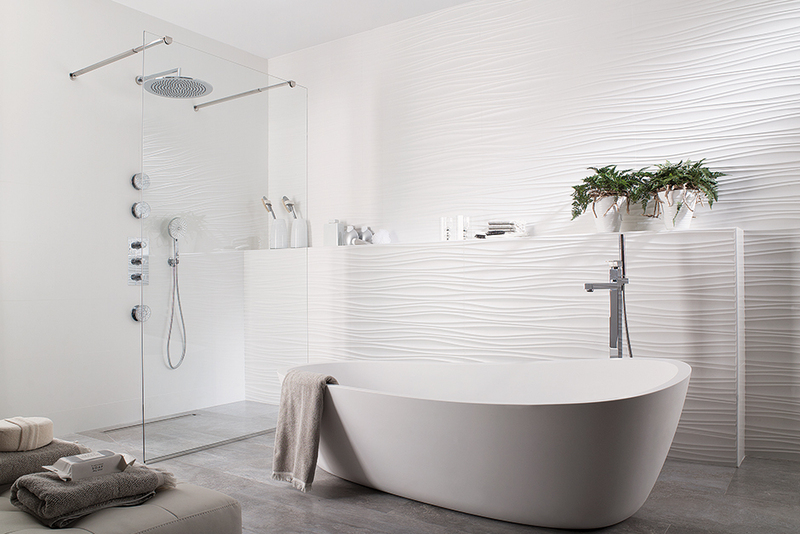 KRION®’s anti-bacterial and easy-to-clean surface serves as the consummate centerpiece for a bathroom. Customized to compliment a distinct and sophisticated aesthetic, Porcelanosa’s wide range of freestanding bathtubs suit an array of spaces in any bathroom design or home remodel. Specifically crafted for added comfort, our oversized bathtubs offer our clients a vast amount of flexibility in their placement. For the ultimate in bathing relaxation, define the look of your space with our unrivaled bathroom furniture.